← PULSE sharing South African culture with Toneheim students! On a Monday evening in late August, Lisa and Eva traveled from Johannesburg to Parys in Free State. The darkness had fallen over the highway and the streetlights were absent on the long and lonesome road that was taking them to their new home. They had heard many stories about 10 Church Street before their departure. 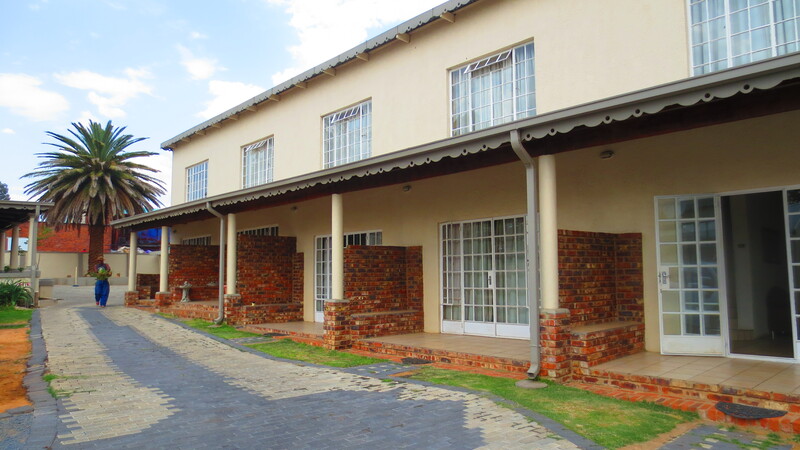 For instance, that there is a house in the complex that has been standing there for over 200 years and has for a long time functio ned as a morgue during the Anglo-Boer war, and that there are tarantulas and snakes in all the apartments. They have also heard stories about ghosts roaming around the complex and other scary things happening on the street. Lisa and Eva had this in the back of their minds while traveling and they honestly didn’t know what to expect of their new living situation. When they entered the small town they drove very slowly trying to catch the atmosphere of the town, but it was dark, deserted and there was no person in sight. Even the complex in 10 Church Street with the twelve apartments seemed dark and deserted. That night Lisa and Eva went to bed a little scared and unknowing what the next day would bring. When they woke up they sat down outside the apartment to have breakfast. During their meal they were looking out on the complex to all of its apartments. They still had the feeling that there was something wrong since there was not a person in sight, even though they occasionally heard music or sounds coming from the other apartments. Suddenly a man walk towards them while Lisa and Eva were in conversation. When he came closer they could see that he was wearing a white sun hat and blue overalls. “Are you Lisa and Eva? I have heard so much about you”, he said with the biggest smile on his face. His name is Sandile and he works as a janitor in the complex. They asked him to join them and shortly after, to their surprise, the neighbors started coming out of their apartments one by one heading for work, and they all introduced themselves and welcomed them to Parys. During the first week Lisa and Eva had not seen a single ghost, spider or snake, and they felt much more comfortable in their new living situation. They had toured the town, gotten to know the neighbors over a friendly drink, met the tutors they are going to work with and have seen the Field Bands in the region. They were very soon convinced that Parys was a very good place to live and they have already started to fall in love with the small but vibrant town. Lisa and Eva function as PULSE team 3 in the Free State region. They will work with the inclusive bands in Parys, Viljoenskroon and Kroonstad, and they are very excited about the work ahead of them and the year they are going to spend in Free State. They will concentrate on the tutor teams in Free State, as well as continuing the work with FBF in developing strategies that integrate young people with disabilities into the bands.